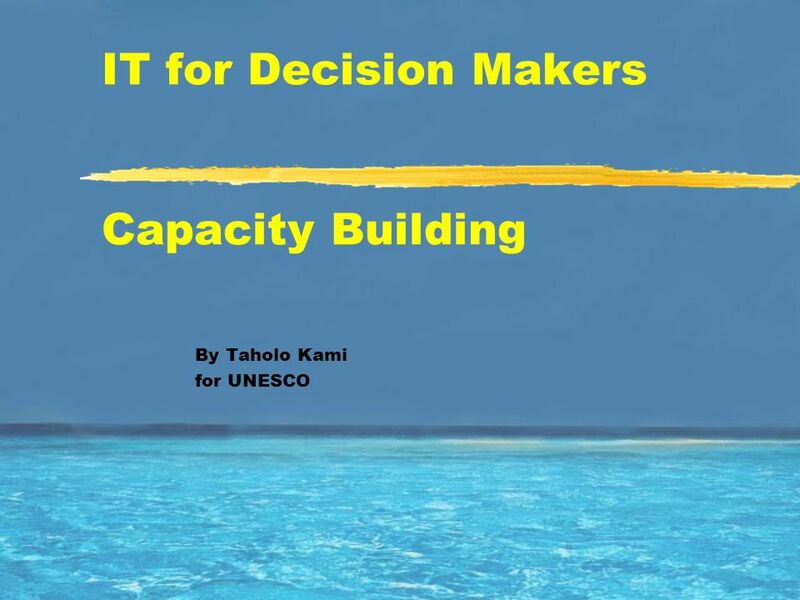 IT for Decision Makers Capacity Building By Taholo Kami for UNESCO. 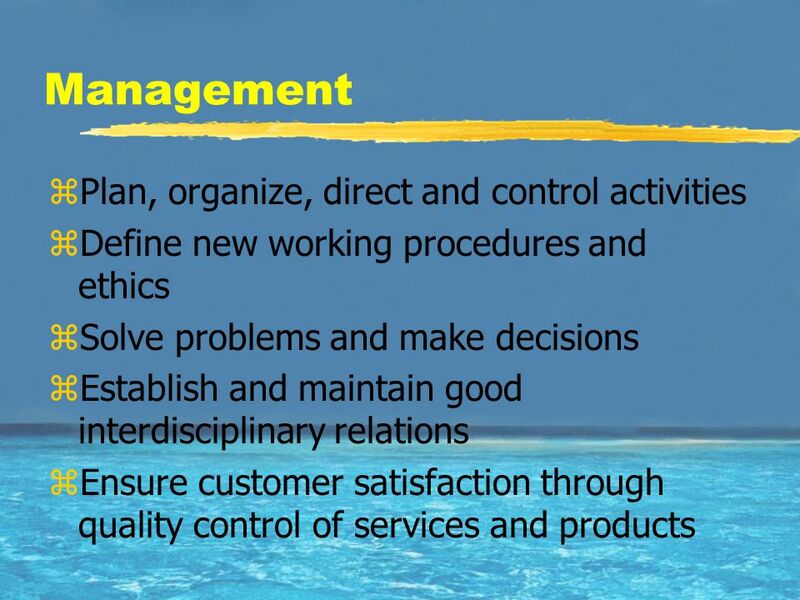 4 Human Resources…. 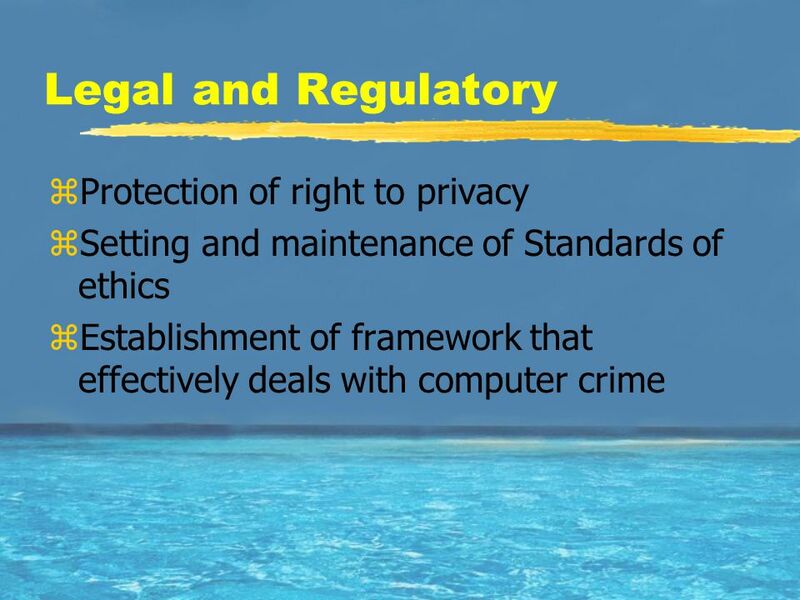 zHuman dimension is the most important yAffordable and fast Internet access without the human capacity to optimize it is poor use of resources. yE.g. 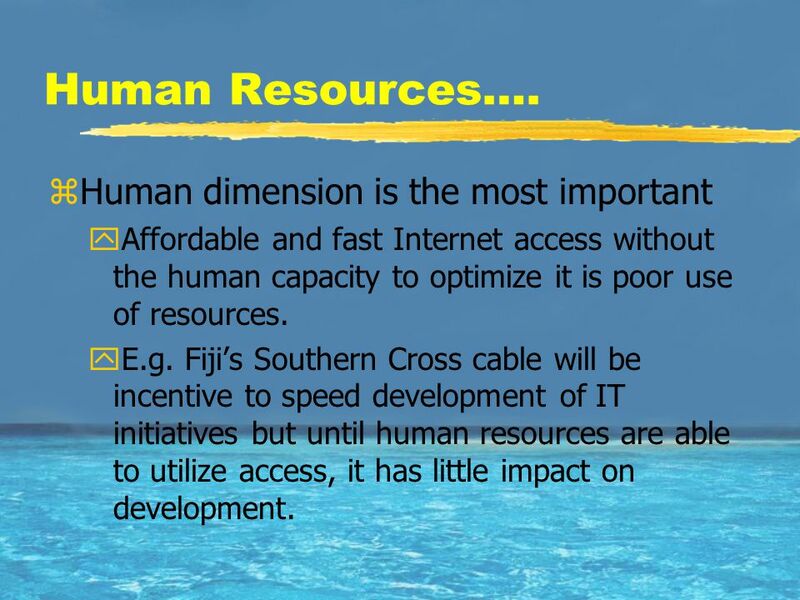 Fiji’s Southern Cross cable will be incentive to speed development of IT initiatives but until human resources are able to utilize access, it has little impact on development. 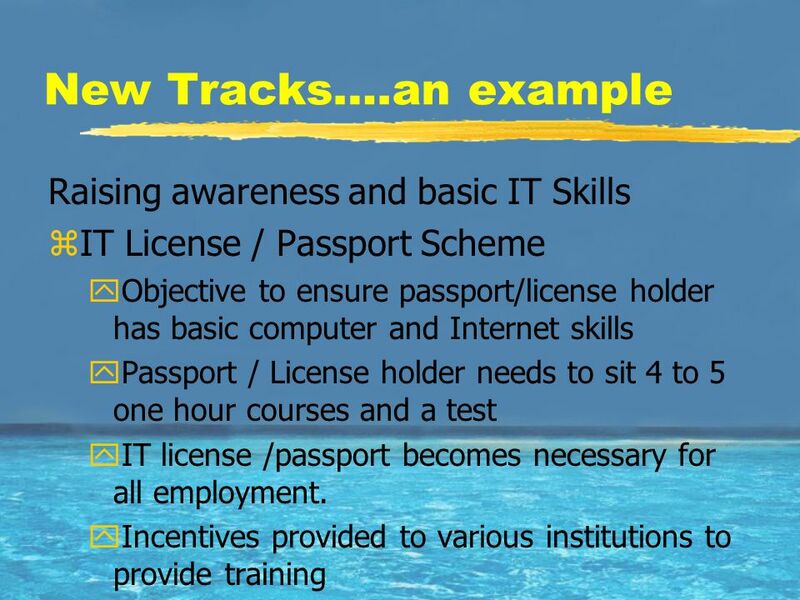 18 Benchmarking continued zIntegrate into workplace – egs yAll Government employees level 1-9 must have basic IT usage certificate by 200_ yAll new Government employees must have IT usage certificate yWage increments for further IT training yIncentives for private enterprise and institutional employment training schemes by 200? 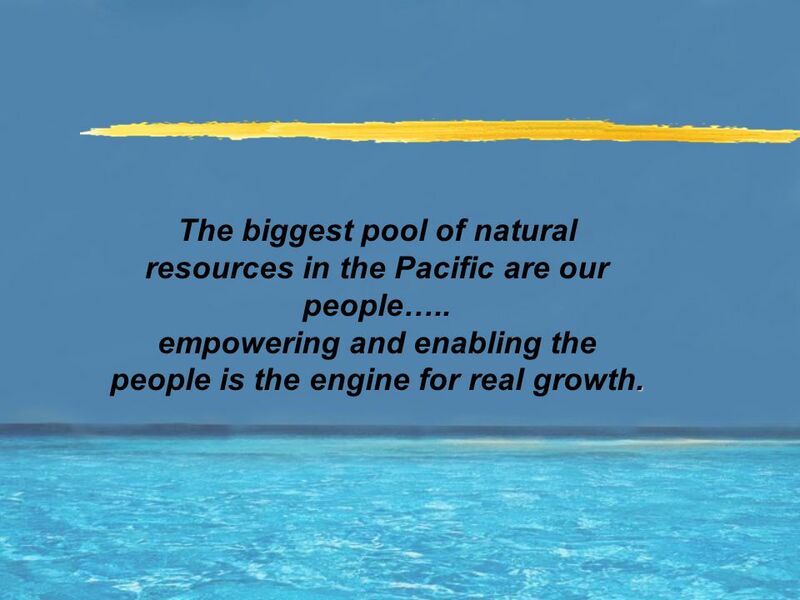 24 The biggest pool of natural resources in the Pacific are our people…... empowering and enabling the people is the engine for real growth. 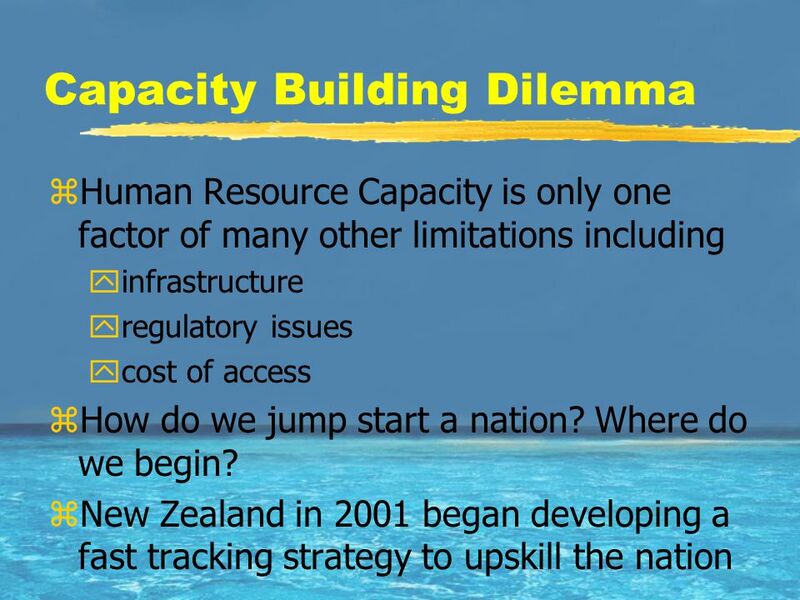 Download ppt "IT for Decision Makers Capacity Building By Taholo Kami for UNESCO." COMMONWEALTH YOUTH PROGRAMME AFRICA CENTRE COMMONWEALTH SECRETARIAT Youth Enterprise Development and Youth Employment Experiences and Lessons from Commonwealth. WCDR Thematic Panel Governance: Institutional and Policy Frameworks for Risk Reduction Annotated Outline UNDP – UNV – ProVention Consortium – UN-Habitat. European Social Fund ENTREPRENEURIAL LADDERS OUT OF SOCIAL EXCLUSION Brussels 11 October 2006. 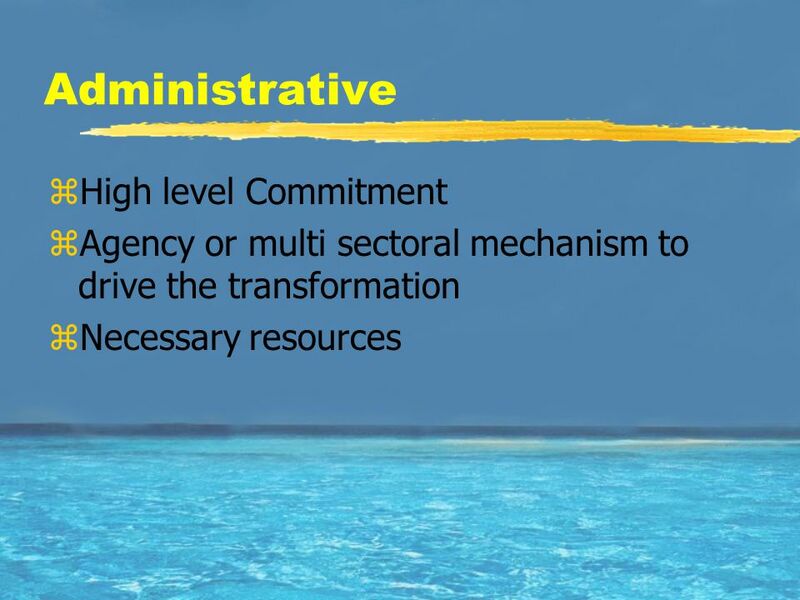 Capacity Building Global Support Program Enhance the institutional capacity necessary to support professionals in implementing tiger conservation over. 1 WELCOME To Presentation Session 2 River Research Institute. 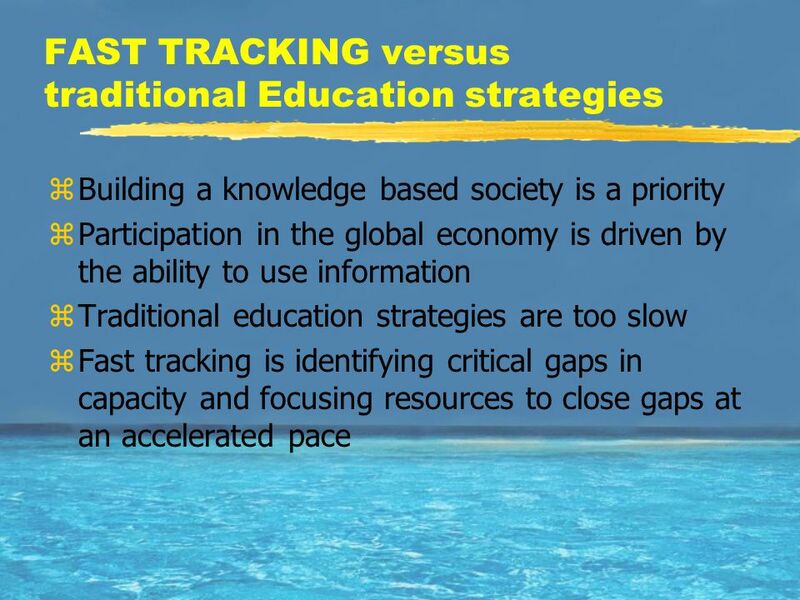 ILO BEST PRACTICES FOR INTEGRATING ENTREPRENEURSHIP EDUCATION: ARAB STATES EXPERIENCE RANIA BIKHAZI ENTERPRISE DEVELOPMENT SPECIALIST INTERNATIONAL LABOUR. 1 GETTING STARTED WITH ASSESSMENT Barbara Pennipede Associate Director of Assessment Office of Planning, Assessment and Research Office of Planning, Assessment. 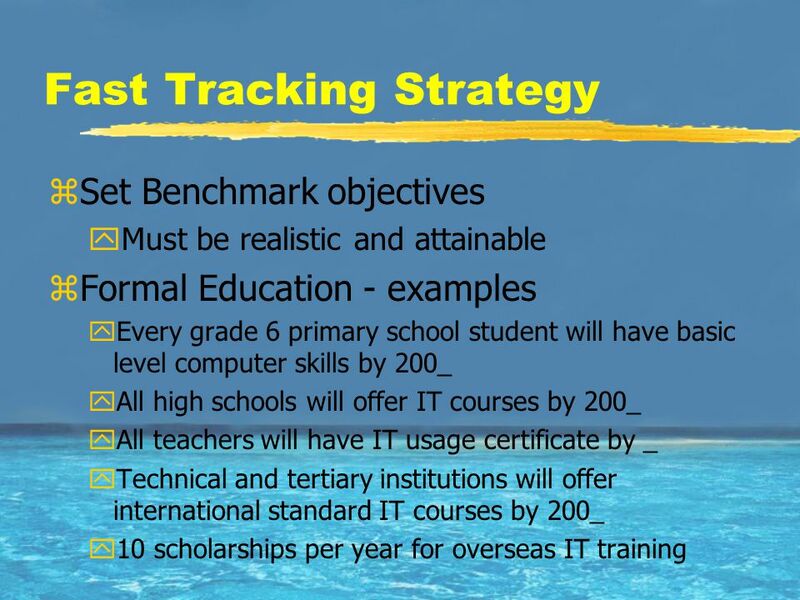 IT in Education. No. 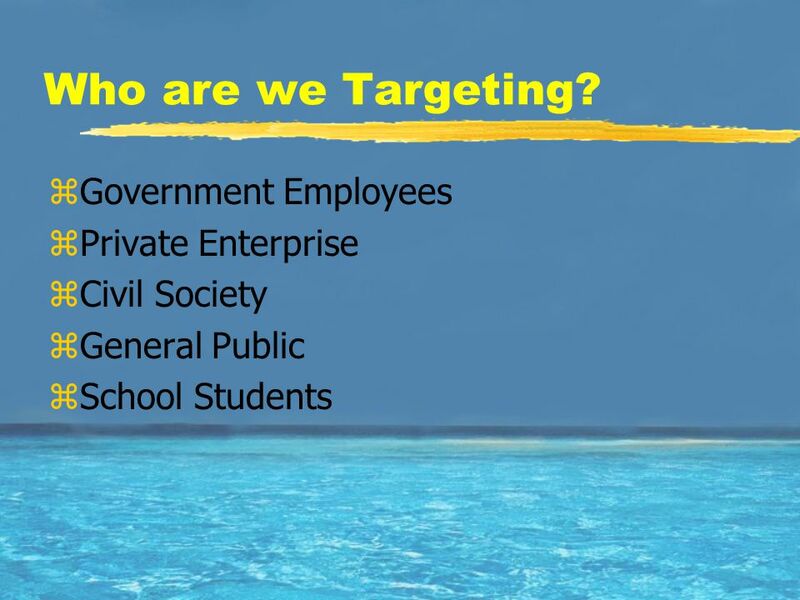 of Students Enrollment Rate Annual Increase Employees Schools Budget General Education 1,100,000 98,7% 6% 47, US$M. 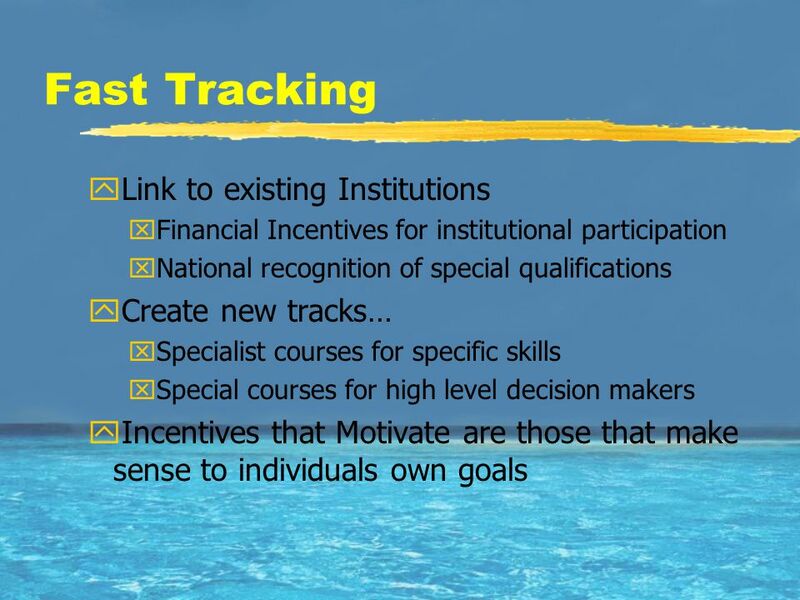 HEInnovate A self-assessment tool for higher education institutions (HEIs) wishing to explore their entrepreneurial and innovative potential. 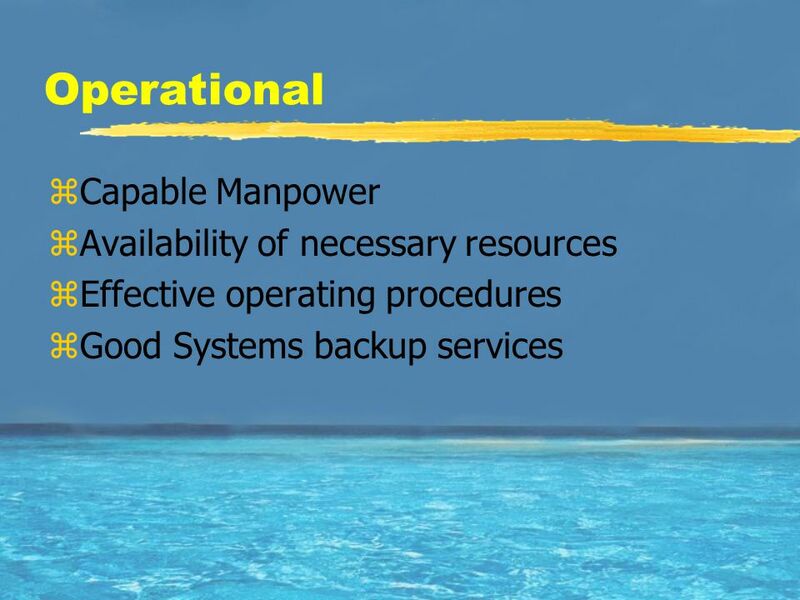 Service and engineering agency for a different kind of entrepreneurship What do we mean by "capacity building" nowadays? 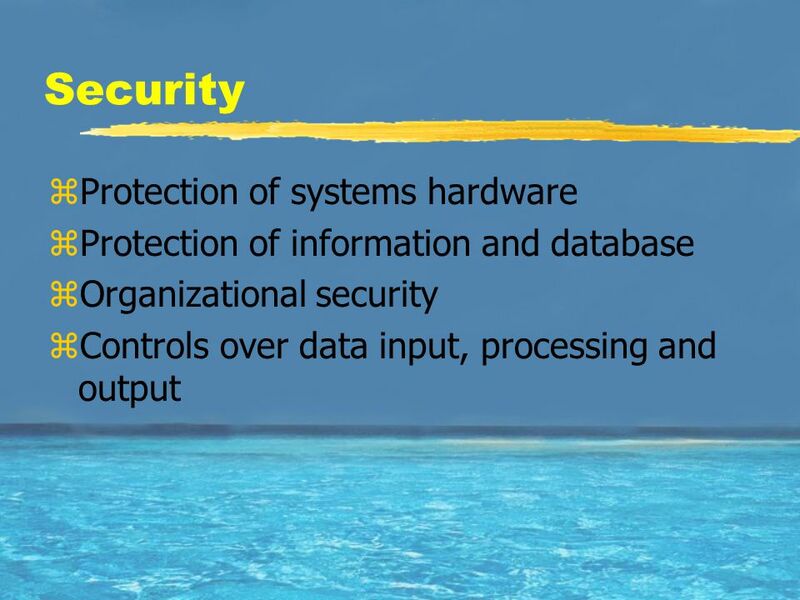 : An overview of the evolution. 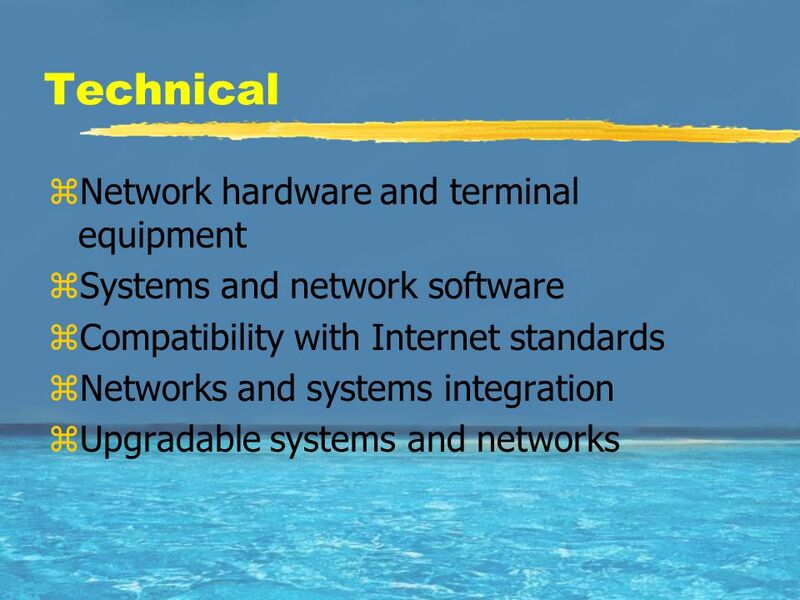 Technology Gap. 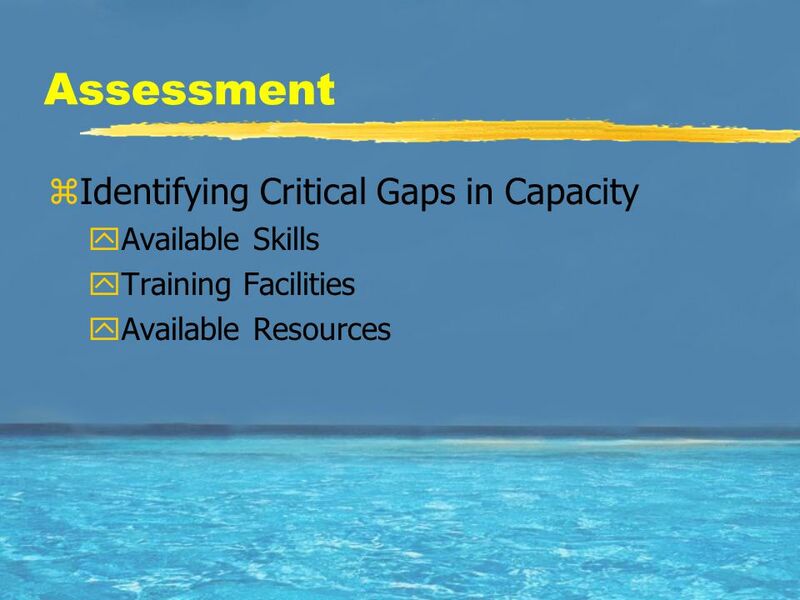 Objectives Develop a deeper understanding of technology gaps in relation to IDT Discuss the strengths and weaknesses of e-resources as.